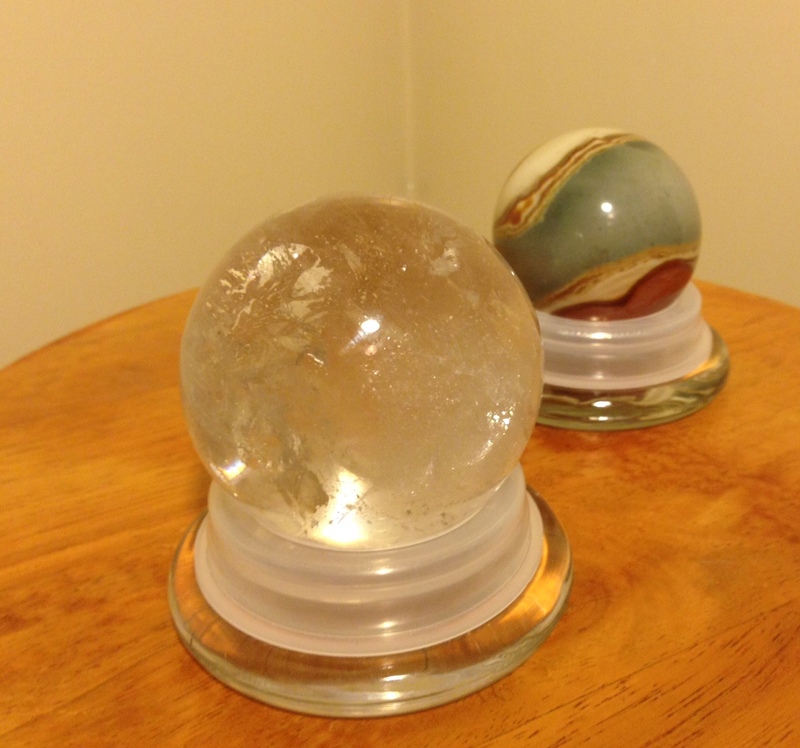 I love my crystal spheres, but one thing about spheres is…they roll. I was looking for a way to stabilize them. I was using a bubble wrap nest and a tissue paper nest for the two that I was working with, but wasn’t satisfied. Then I was burning a candle with the lid off to the side of my desk where my crystal was, and I was trying to make room to work. Then, in a pairing as serendipitous as chocolate and peanut butter, they met up! This works great! The plastic stabilizes them and prevents scratches. They don’t take up much space! How do you work with your spheres without chasing them around the room? Looks like a custom pedestal. Fantastic!